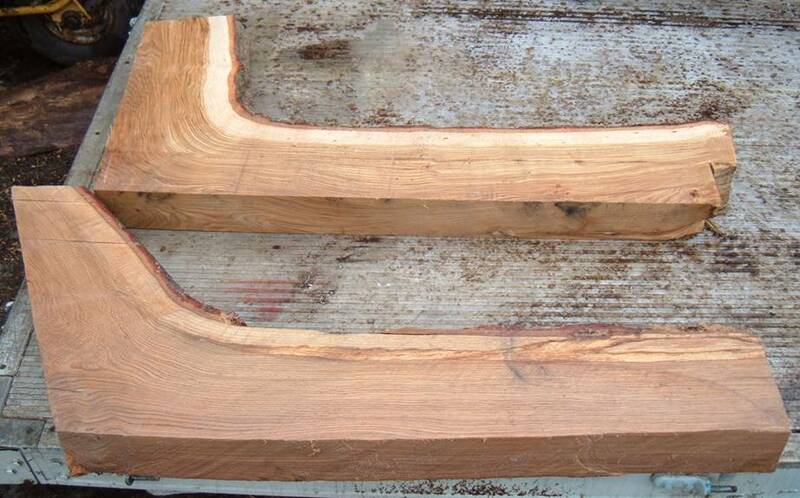 These are especially valuable to the traditional boat builder/repairer or to builders of oak frame buildings as they enable a structural curved member to be cut that has excellent strength without suffering from short grain. 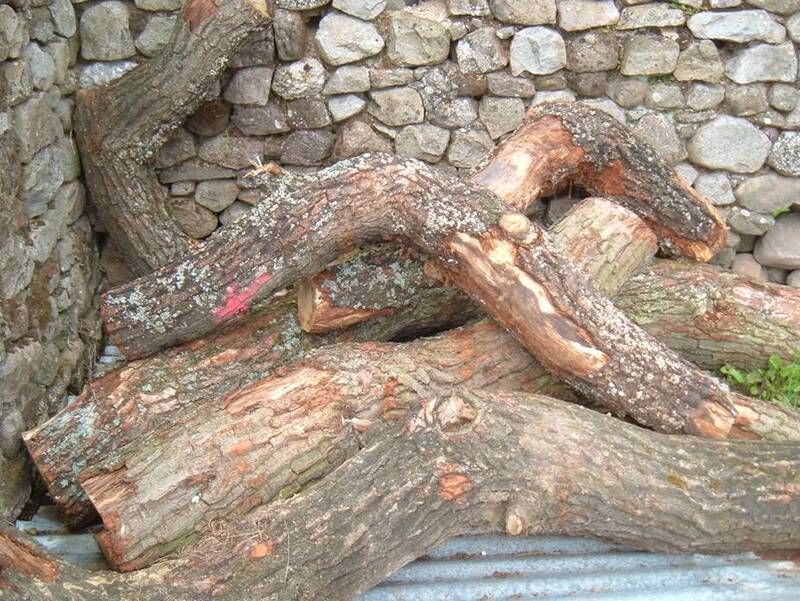 Our stock of oak bends varies depending on what we can buy from the foresters and landowners so please enquire with your requirement. 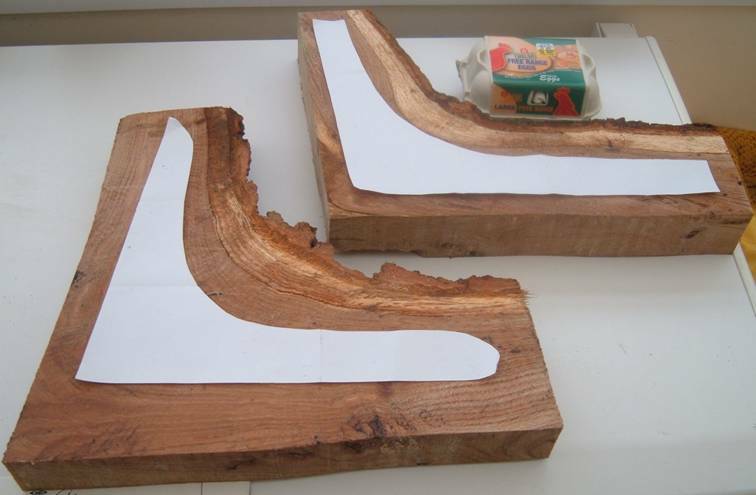 Often it is helpful to have a paper template you can send us or a photograph or drawing to show the type of curve. 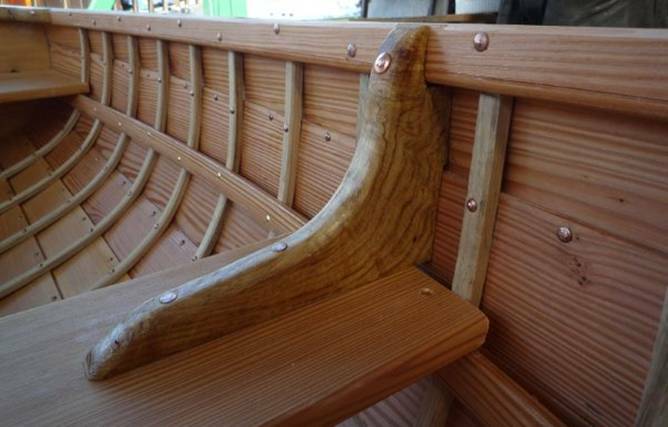 These two lovely knees now form the stem knee and stern knee of a historic Tenby Lugger being built by Pembrokeshire College in Milford Haven. Just a little of our bendy stock in the round waiting a use. 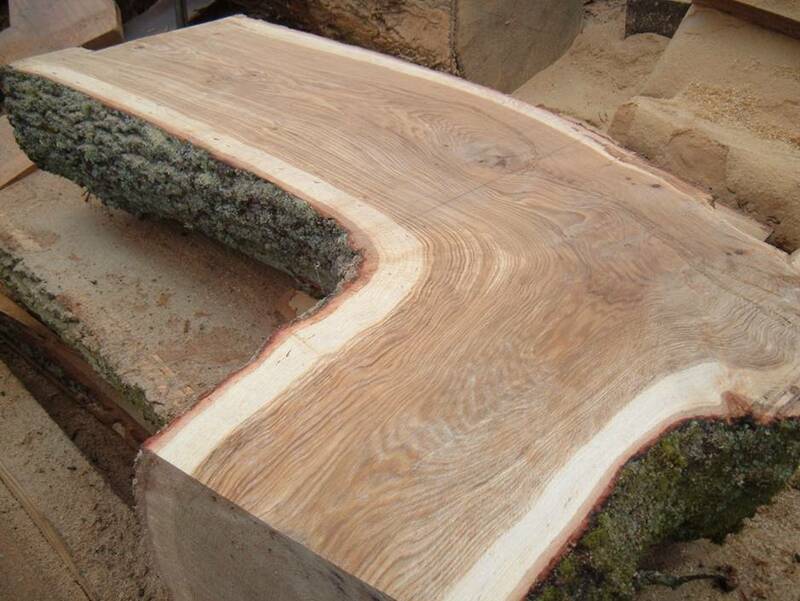 This good size sweet chestnut log had a fair, gentle curve and was converted to form boat deck beams. Sadly crooks like this are all too rare. This little knee (and the others like it in the boat) were made from a crook supplied by us and give a much nicer (and stronger) finish than making a knee with a half-lap joint. Tim Loftus Boatbuilder of Bristol built this boat, and gave his permission to use the photo. Tell us what you need and we will try to help. To give you an idea of cost, crooks like these two below usually work out at around £30 or £40 each, and in this case the customer cut each piece to make two knees. Large knees like those in the top photo above will cost at least £120 each. As you can see these little crooks are a pretty good match for the customer’s templates. The egg box gives you an idea of scale.